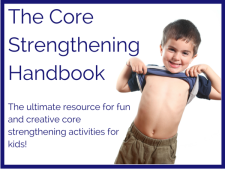 This article provides helpful information for children that struggle with tactile defensiveness. Affiliate links are included for your convenience. Integrated Learning Strategies (ILS) is a learning and academic center. As a reminder, ILS is not a health care provider and none of our materials or services provide a diagnosis or treatment of a specific condition or learning challenge you may see in your child or student. If you seek a diagnosis or treatment for your child or student, please contact a trained professional who can provide an evaluation of the child. The word tactile refers to our sense of touch and to the information our body gets from our skin. Our sense of touch is important for helping us understand our own body, our surroundings and environment. Touch is also the link between people. Through touch comes bonding and relationships. Tactile sensations are sent between mother and child as soon as the infant is born, especially when the baby is feeding. Some of the tactile receptors are close to the surface of the skin and others are deep. 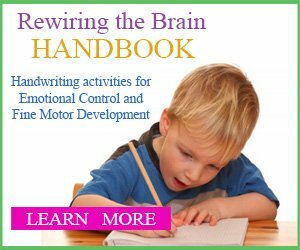 Light Touch sends a signal message to the brain, which usually means, “Pay attention!” This is a useful sensation to create awareness while increasing your child’s focus on what is going on around them. Touch Pressure sensation occurs when someone firmly touches your skin. Most people find comfort in touch pressure input (massages, deep pressure therapy, foam rollers). Highly sensitive areas on the body including the fingertips, tongue and lips can have as many as 100 pressure receptors in one cubic centimeter. Less sensitive areas, like your back, have as few as 10 pressure receptors in a cubic centimeter. Most of the time the tactile sense works properly. It sends the information needed to process physical touch and the emotions behind the sensation through pathways in the brain. However, sometimes things get a little mixed up. For most of us, we would react negatively to some tactile sensations such as a bug crawling up our neck or spider web brushing against our face. For some children, many benign and non-threatening touches cause these same negative reactions. 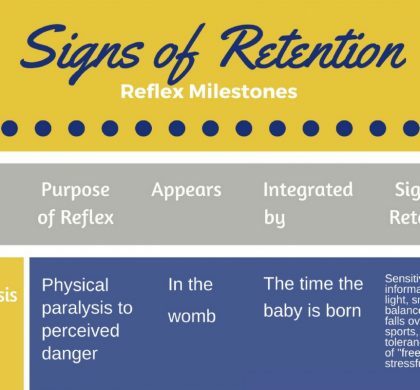 In these cases, the child may have a neurological disorder called tactile defensiveness. Tactile defensiveness is a neural disorder that is frequently seen in children with some learning disabilities. 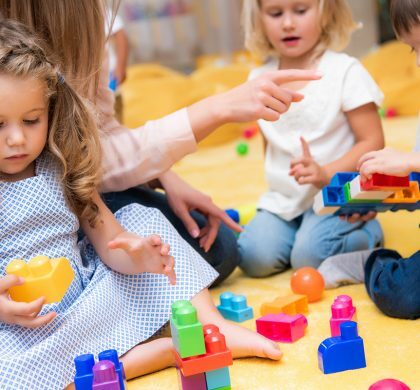 This disorder causes a child to overreact to touch sensations, and does not hinder learning, but the behavioral reactions and discomfort associated with tactile defensiveness interfere with the learning process. This is evident especially in the classroom and those that care for, and are around the child most often. This type of disorder in the tactile system also affects the emotional region of the brain and causes the child to become easily upset. Many times they struggle with emotional grounding issues and are in constant fight or flight mode. In the classroom, if your child is bothered by the texture of their clothes, the touch of their desk, or if they are constantly chewing and sucking on their pencils and erasers, it could cause them to be disruptive in class and it often prevents them from listening and paying attention. 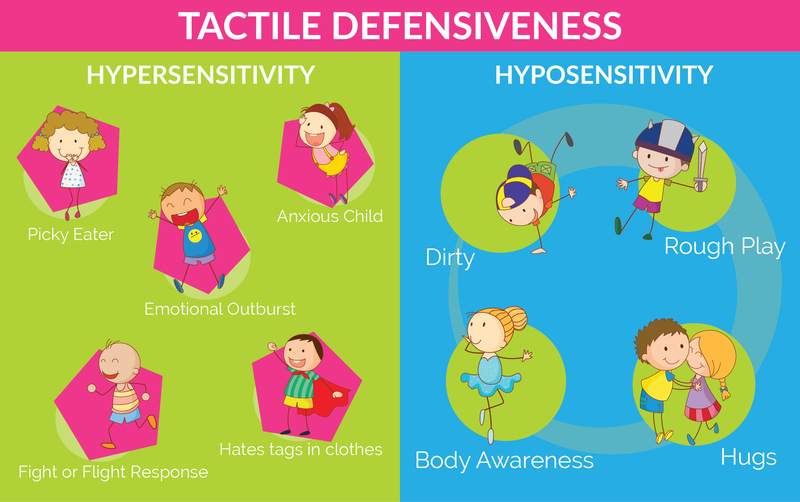 Your child’s body is reacting to tactile defensiveness and tactile hyposensitivity where their brain is telling them they can’t attend or function until the brain and the body is calmed down. Tactile defensiveness is the propensity for a child to react excessively to touch sensations that others ignore or have little reaction to. 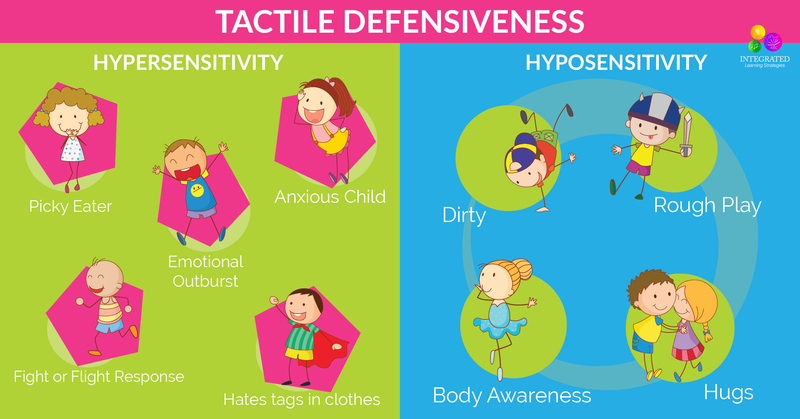 The theory behind tactile defensiveness is that your child’s light touch receptors on the skin are overly sensitive. When their receptors are activated, they trigger a “fight or flight” response. This emotional, physiological response causes your child to view certain types of touch as threatening. As a result, your child can have the “flight” reaction, “get away from me right now!” Sometimes, that little bit of lace on their dress, a tag in their shirt, or long sleeves on their sweaters are just an unwanted stimulus that is irritating your child to the point where they cannot think or concentrate on anything else. Contrary to popular belief that tactile defensive children do not want to be touched at all, many like deep pressure touch. These types of children love the feel of heavy lap pads or weighted blankets, and they also like to place objects on top of their body when they are relaxing or ready to sleep. 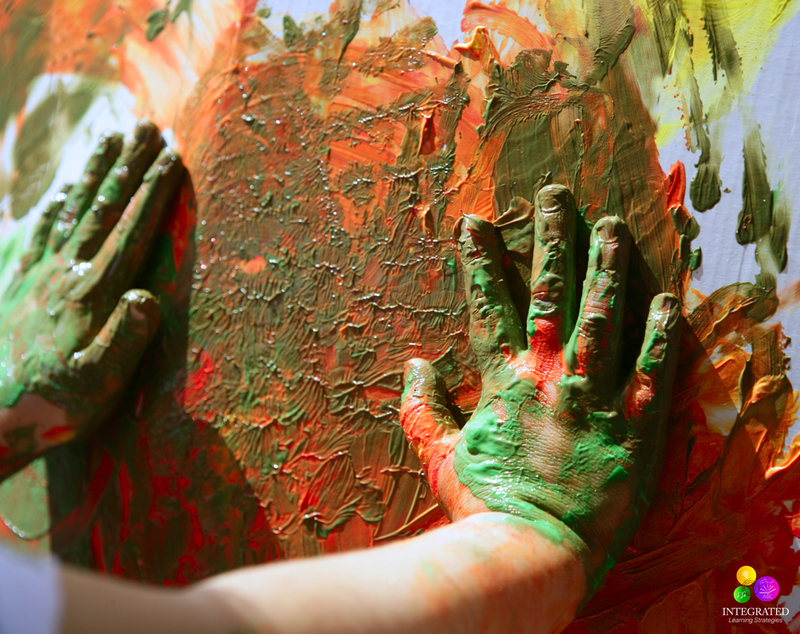 In contrast to tactile defensiveness, there are many children who are under responsive to touch sensations. 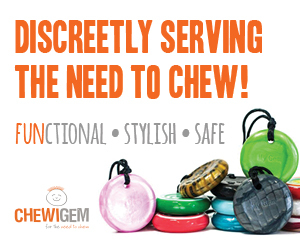 These kids have a hyposensitivity to tactile sensory input. The receptors are under responsive and sometimes fire at lower rates. 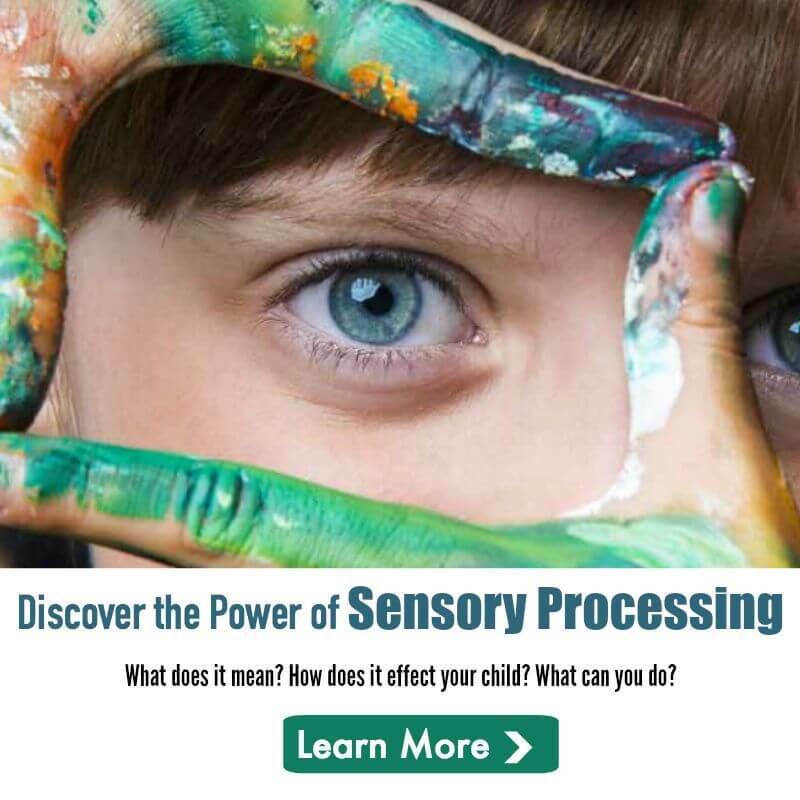 The children that have under responsive sensory systems fall into two categories, which are distinctly different in nature, but stem from the same problem. “Sensory-seeking” behavior: You may notice your child bumping and crashing into everything and everyone. These sensory-seekers crave touch sensations and look for the opportunities everywhere. “Live in their own world” behavior: Your child may often be absorbed in their own surroundings and imagination. They also fail to notice other sensory information that would be alarming to others (for example, the stove it too hot, the bath water is too warm, the candle will burn your skin). 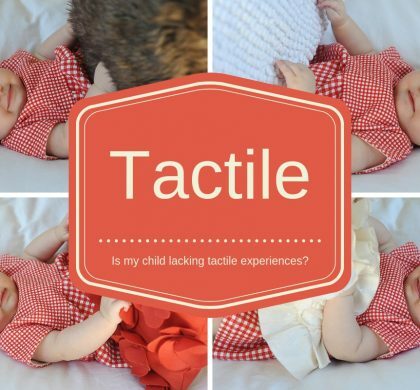 If your child struggles with tactile issues, they may develop some characteristics of Tactile Dysfunction. 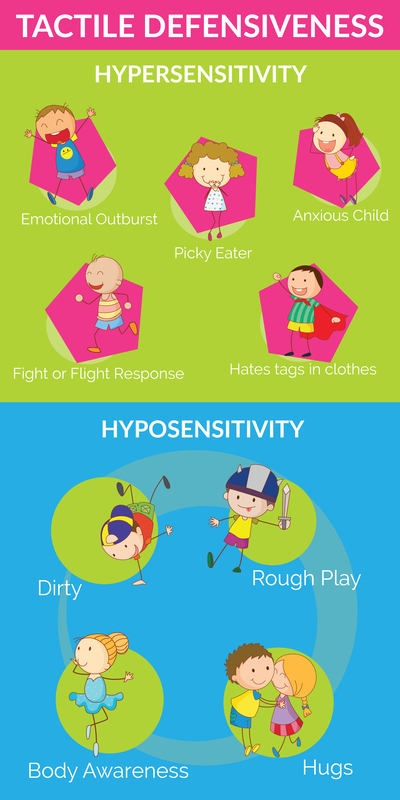 Here is what you may notice in your child if they have difficulty in these areas. To gain an appreciation of what these kids go through, we need to understand your child’s experience. 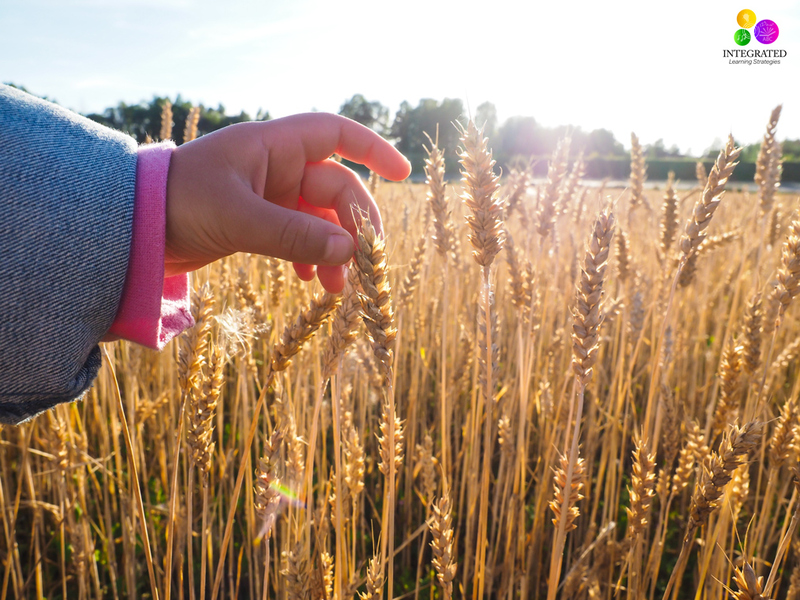 In A. Jean Ayres book, Sensory Integration and the Child, she expounds on what your child may feel and how they interpret tactile information differently from other people. 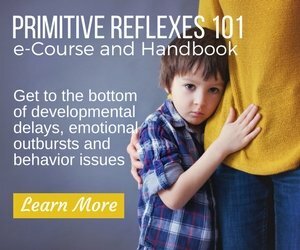 More often, the tactile defensive child is not completely conscious of what he or she is feeling with a touch, other than they know the other person is making them feel uncomfortable. Poor tactile processing occurs in the brain stem or sometimes in the subconscious areas of the cerebral cortex. The child does not realize he is reacting harshly to external stimuli. A child with good self-control is more apt to find a socially acceptable excuse for avoiding the situation. When the child needs to escape, they may say, “I have to go to the bathroom,” or “I need a drink of water.” In these circumstances, we must understand and be watchful when we notice signs of them becoming irritable or miserable because it could lead to behavior that creates a negative environment for other people (hitting, punching, fighting or being rowdy). This type of behavior is a defense mechanism for the child, which can be helped with sensory integration and movement to calm the body. 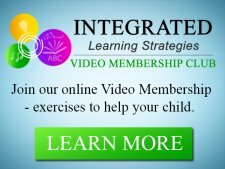 As you monitor your child’s development, if you notice your child has issues with their learning development, they may need exercises to help their learning behavior, attention and focus, and fidgeting in the classroom. If your child struggles with toe walking, W-sitting, bedwetting and poor balance and coordination, it could be an indication that the nervous system is underdeveloped.